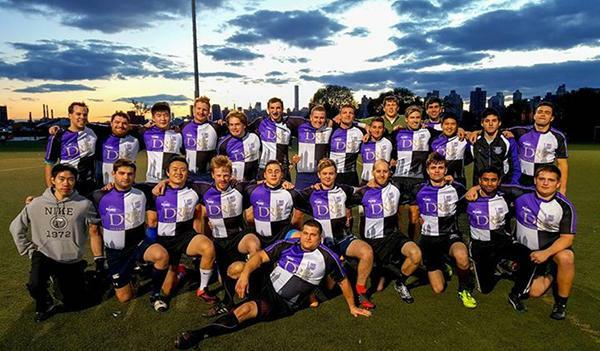 Comprised of graduate and undergraduate students, the NYU Rugby club is run through the Stern School of Business and plays at Randall’s Island. NYU is a school of possibility where students can tailor their experience to whatever suits them best. 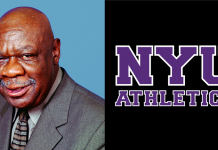 Where NYU falls short, however, is within the world of sports. NYU’s sports community is sorely lacking. 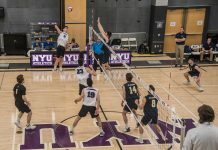 For NYU students who feel that sports are missing from their college experience, what’s out there to quench that thirst for grit, glory and competition? 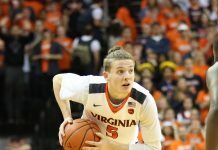 Of course there are the myriad DIII sports including basketball, volleyball and soccer, among others. There’s also NYU’s successful club hockey team that offers a great Friday night excursion. However, there is no uniting football team to connect students. There is no tailgating, pep rallies or epic homecoming games. What there is, however, is a neat little club rugby team that might just be NYU’s best kept secret for fans yearning for Violet athletics. The NYU rugby club, run through the Stern School of Business and comprising a blend of graduate and undergraduate students, plays at Randall’s Island, making it a bit of trek to come out to a game. But for those interested, it’s worth it. The team practices with New York’s Gotham Rugby Football Club. Recently, they’ve played Columbia Medical School, Columbia Business School, Cornell University and Albany College. With the inclusion of Ivy League foes, the rugby team brings an essential feeling of college rivalry without adding a layer of competition that’s too competitive to be fun. 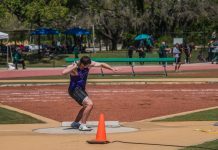 Steinhardt freshman William Herrin jumped at the chance to join when he came to NYU. This Halloween, the NYU rugby team played in the Columbia Med tournament. The laid-back environment had aluminum pans full of mac ‘n’ cheese, hamburger buns and pulled pork to create further that classic tailgating vibe that so many NYU students feel they are missing out on. Spectators were welcome to come and go throughout the day, and playing against the Ivy Leaguers who know what school spirit is all about really brought the outing to the next level. The small bleachers were filled, albeit with Columbia sweatshirts for the most part, though a few NYU Violet sweatshirts were in attendance. Randall’s Island itself, though a lengthy subway and bus ride away from NYU’s Washington Square Campus, is a beautiful location with sweeping views of the city in a beautiful park setting that is a welcome alternative to the more traditional New York spots. It makes you feel like you’re back in whatever small town you grew up in, watching a casual game in the fall sun. The teams have the athletic skill required to play rugby the right way, though the website cites “no experience is necessary or expected,” encouraging anyone to join. It was a great escape for the longing sports fan inside all of us. This spring, the team will celebrate their 20th anniversary, so now is the time to go out and support this niche sport. The rugby community is where students who feel they are missing out on the typical college experience can go, relax and enjoy a casual afternoon watching the United States’ fastest growing sport. And most importantly, outnumber those blue-clad Columbia fans. Check out the rugby club’s facebook page and website if you’re interested! Actually the club isn’t affiliated with NYU Athletics as they turned down all of our requests to create an official NYU Club, our only school affiliation is Stern (and a now dormant Law School Club).